10.12.2007, O2 Arena, Londra: lo Zeppelin torna a volare per una sola volta sui cieli della Terra di Albione. Tutta la magia sprigionatasi in quella sera da oggi la potrete vedere sui vostri schermi casalinghi o ascoltarla dal vostro stereo: nessuna scusa è accettata. 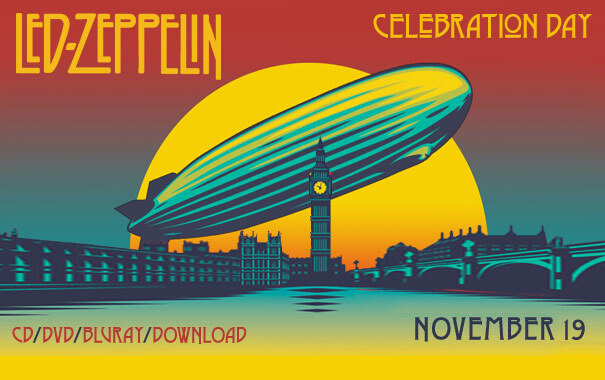 10.12.2007, O2 Arena, London: Zeppelin fly back to only once in the skies of the Land of Albion. All the magic come out that evening, today you will see on your screens or listen from your home stereo: no excuses are accepted. I’ve got to many thanks on the efforts you’ve put in writing this site. throughout the upcoming too. In fact your inspiring writing abilities has encouraged me to obtain our website now. Your document is an incredible instance of it. to resolve my problem. Maybe that is certainly you!